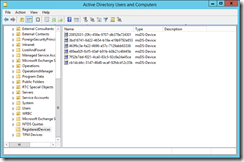 In this series of blog posts I am looking at creating a Unified Messaging lab for Exchange Server 2010 (and 2013). Earlier posts have looked at the installation of the PBX (AsteriskNOW) and the configuration of the Exchange Server. This post will look at the configuration of the user’s settings. For each user there are two settings to configure. The first are the related settings on the telephone and the second is the configuration of the unified messaging properties on the Exchange mailbox. The first set of settings are covered in detail in Part 4 of the blog but in brief they involve choosing a unique extension number that has the same number of digits as the dialplan (all extensions must be unique within the dialplan) and creating this extension within the PBX and configuring a phone to use this extension. Once you have done the steps in Part 4 of the blog you should be able to ring any of your extensions and pickup the call. If you ignore the call or press any “reject” button on the handset you will find that Asterisk voicemail answers the phone. So this part of the blog series will go into the steps to configure Asterisk to forward voicemail to Exchange Server (and this is the same for Exchange Server 2010 or 2013). For each user you need to associate their mailbox in Exchange with their extension number. 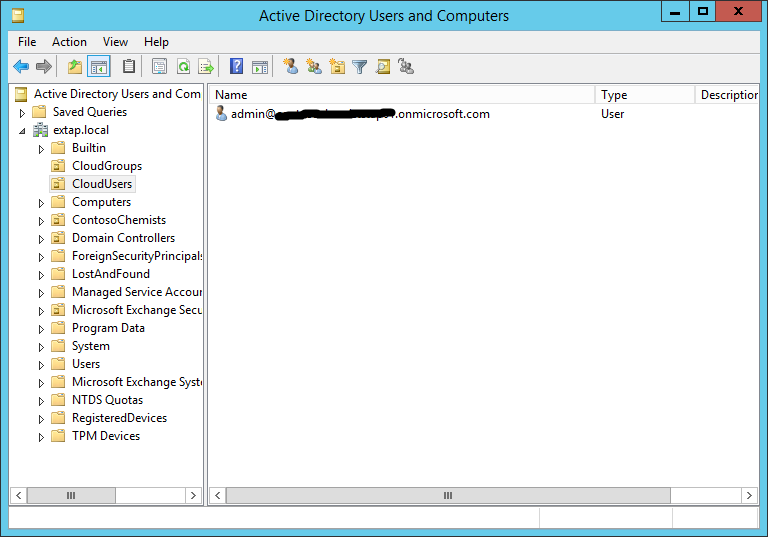 You can do with the Enable-UMMailbox cmdlet or the Enable Unified Messaging wizard in the Exchange Management Console. For the wizard, right-click the mailbox under Recipient Configuration and select the Unified Messaging Mailbox Policy that you created earlier. Then either choose a PIN or have the system generate on for the user automatically. The user will get an email informing them of their PIN either way. Click Next. 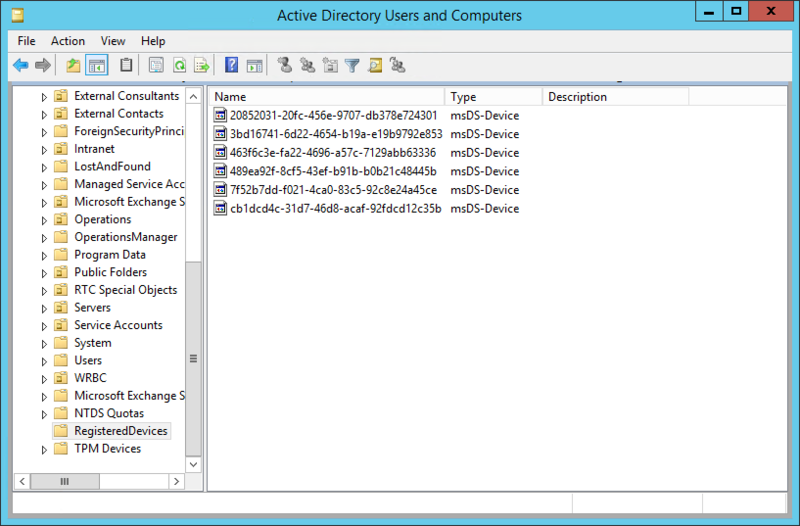 If the user already has the Business Phone attribute (or Telephone number attribute on the General tab in Active Directory Users and Computers) populated in Active Directory then the option to automatically generate the mailbox extension will be available, and the extension will be shown (greyed out) in the field to the right. If this is incorrect, or a full phone number was not specified, then only the manual option will be available. As each mailbox is enabled for unified messaging, the mailbox will get an email telling them the access numbers for voicemail (the dialplan subscriber numbers), their number (which should be the same as their telephone extension number) and their PIN. On the mailbox, if you look on the E-mail Addresses tab you will see the EUM address, and this should read ext;phone-content=policy. You can add additional extensions (EUM addresses) here manually if you wish. Now that you have the extension configured on a phone, the same extension configured against the mailbox, a dialplan with subscriber access number configured, SIP trunks to Exchange and an Outbound Route for the subscriber access number you should be able to ring the subscriber access number from your physical handset. Upon dialling from the phone configured with your extension number you will hear the Exchange chimes and be asked to setup your Outlook Voice Access for the first time. You will need your PIN number to complete this, and this will have been emailed to the mailbox at the time the mailbox was configured for UM. Asterisk defaults to forwarding calls to its own voicemail extensions and so edits need to be made to extensions.conf (or linked files if using FreePBX) to route calls to Exchange Server for voicemail. In this blog series we have FreePBX installed, so we need to edit /etc/asterisk/extensions_override_freepbx.conf rather than extensions.conf. The first change is to copy the [macro-vm] section from /etc/asterisk/extensions_additional.conf into /etc/asterisk/extensions_override_freepbx.conf. [macro-vm] is approx 150 lines long and ends with “;–== end of [macro-vm] ==–;”. Then we need to make some changes and additions to the macro-vm section. The first set of changes will comment out the code the directs calls to Asterisk voicemail and the additional lines will dial the Exchange Server trunks and add SIP Diversion headers so that Exchange knows which mailbox to answer the call for. Each of the above lines can be commented out by placing a semi-colon (;) at the start of the line. This code adds the Diversion header to read tel:extension. Note that the tel:ext block is surrounded by greater and less than signed (triangle brackets if you will) which have a habit of not being displayed on web pages. Also note that you need to use the names of your two trunks connecting to Exchange that you will make in the final part of this blog series (Part 8). You will make one trunk connecting to port 5065 and the other to port 5067. The Dial() command tells Asterisk to dial both trunks at the same time and direct the call to whichever answers first. Therefore if Exchange is listening on 5065 or 5067 the connection will work. For ease of configuration, if you pick the names for the two trunks now you can add them to the config file here and then when you create the trunk in Part 8 you just need to use the same names. I used ToExchangeUM5065 and ToExchangeUM5067 in my lab. Then I replace xxxx with ToExchangeUM5065 and yyyy with ToExchangeUM5067. Again, change xxxx and yyyy for your two different trunk names that you create in the next part of this blog and make sure that the Diversion: header includes triangle brackets around tel:ext. As you can see, the three blocks of inserted code are all the same apart from the s-WORD value at the start of each. This new block is again a copy of s-BUSY (or the other two) and just the s-WORD bit changed to s-NOANSWER. For completion the Noop line (line 1 above) is also changed to NOANSWER so that the correct text is written to the Asterisk console and log files. No other changes are needed in extensions_override_freepbx.conf. So save the file and restart Asterisk by using amportal restart from the console. There is now one more thing to do. 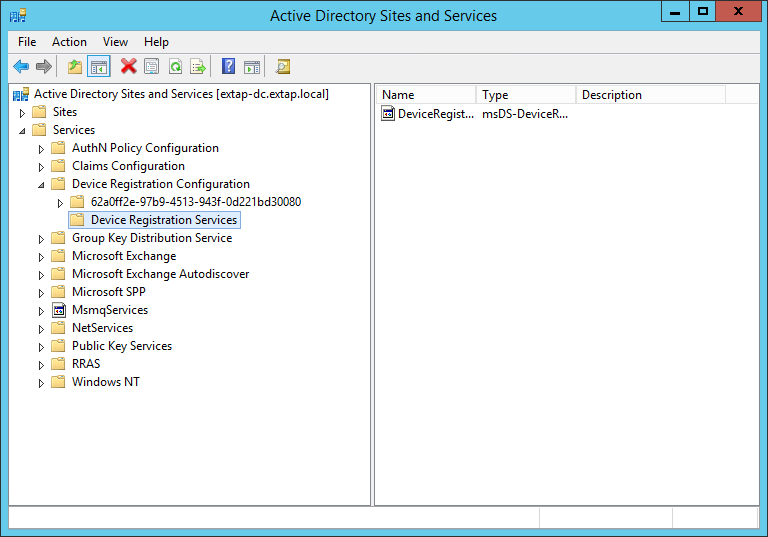 That is to create the SIP Trunks to Exchange Server. 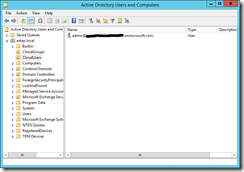 This is detailed in Part 8, and once you have a way to connect to Exchange Server you are able to route voicemail requests to Exchange and complete your unified messaging lab. I recently had a case where Windows Backup would fail at approx. 75% complete during a full backup. The backup utility and command line both reported that “The system cannot find the file specified”. The Event Viewer/Application… Services/ Microsoft/ Windows/ Backup/ Operational reads “Backup target is running low on free space. Future backups to this target may fail for want of enough space.” and then at the same time and immediately after that we get “Backup started at ‘TimeZ’ failed with following error code ‘2147942402’” which means file not found or unknown error. After a series of email communications with the Windows Backup team at Microsoft India (where, incidentally, the program was developed) the answer came back that I should run chkdsk /r and reboot the server. As this process can take hours this occurred out of hours and actually in my case needed to be repeated twice. A normal chkdsk command, run whilst the server was online, reported that the disk had errors and could not continue. After running chkdsk /r twice, from an elevated command prompt, the backup started to work again. There is a published problem with EBS 2008 where Outlook prompts for a password all the time when connected over HTTP/RPC (Outlook Anywhere) – see the Microsoft EBS Team Blog. We have found that the same problem is also exposed in the Remote Web Workplace when trying to connect over Remote Desktop to your PC or to the servers. The problem is that the authentication for the Remote Desktop is broken because Outlook has failed to connect based on the published issue mentioned above. The failure of Outlooks authentication breaks the DefaultAppPool is IIS. Recycling the application pool fixes the issue – but only for a short while. It breaks again at the next failed Outlook login. And because the breaks in authentication are due to Outlook it is difficult to see why Remote Desktop ceases to operate. But apply the same fixes from the above blog and Remote Desktop begins to work and stays working. The above commands are probably wrapped for reading on your screen – each bullet point is a single command to be entered as one line. Instructions for making changes via the GUI can be seen on the above blog post. 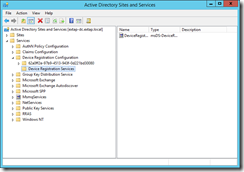 A recent installation of a second SharePoint site on Small Business Server 2008 broke the Remote Web Workplace site for access from the internet. Intranet access to the site worked fine, but from the internet where the http request to the site is redirected to https had stopped working. Opening up IIS 7 Manager and checking the bindings of the SBS Web Applications site showed that the site had two http bindings and a https binding. The https binding was for * under IP Addresses and port 443. Clicking the Edit button on this binding showed that the certificate was not correct. This was the reason the site was not working, as a https site requires a certificate. The reason is that the installation of the SharePoint site, and the installation of the certificate to support that site broke the binding for the TS Gateway role on the Windows 2008 machine. The broken binding on the SBS Web Applications site was because of this broken TS Gateway configuration and to fix the above error in IIS required fixing the TS Gateway issue. Note that at no point in the configuration of the SharePoint application was the TS Gatway role configuration changed – the installation of another certificate on the server broke the TS Gatway which broke the Remote Web Workplace SBS Web Applications site. Opening Server Manager and navigating to the Roles/Terminal Services/TS Gateway/Servername area showed a message in the middle pane of the Server Manager saying that configuration of the TS Gateway was not complete. Clicking this link brought up the TS Gateway SSL Certificate page of the Properties dialog. Click Browse Certificates and select the correct certificate. In SBS 2008 this will be the Remote Web Workplace certificate. Click OK to close the dialog and you will now be able to check the https binding on the SBS Web Applications website. The error will now not occur, and the https binding will be bound to the correct certificate. If you are not running SBS 2008 then the above is possible, just it is more likely to be a problem with the Default Web Site bindinging instead. Additionally, I noticed after I had written the above that this error also occurs if you delete the certificate used by the TS Gateway from the IIS box and as well as breaking TS Gateway (which would be expected) it also breaks the “Add a trusted certificate” wizard in the SBS Server Console. The Add a trusted certificate wizard crashes when started with just a failed application message and nothing in the event log. To fix make sure the SBS Web Application IIS site is bound to a valid digital certificate. I found the other week that my Hyper-V server, running Server Core and nothing else was restarting all of its own accord. As this is just a server at home, and the monitor is switched off 99% of the time I had not noticed it blue screening. So looking in the event log (remotely of course, as it was running Server Core) to see why, I noticed it had done the same thing every day at a few minutes past 1pm – one of my scheduled backup times during the day. I was getting Event ID 1001 at about 1:03pm each day. So I changed the time of the backup (using Windows Server Backup, command line) to 11pm and I got 1001 bugchecks at 11:03pm each day. There was nothing else recorded in the event log, apart from the usual system start/TCP-IP etc messages and no clue as to the reason for the failure. All I had was the BugCheck, an example being 0x0000007e (0xffffffffc0000047, 0xfffff80003676b48, 0xfffffa60019ff5c0, 0xfffffa60019ff660. A bit of research later, and ignoring most of the posts regards VSS and Hyper-V I came across http://support.microsoft.com/kb/958662/en-us and http://support.microsoft.com/kb/960038/en-us (the latter of these is a hotfix) which I applied and solved the problem. It would seem that Hyper-V and VSS based backups have an issue with some backups if a virtual machine is in a running state. It is possible to save the Hyper-V guest machine and then back it up without issue, but of course this kicks people of the virtual machine – a bit pointless really unless its a development machine. To turn off backup for a Hyper-V machine, so that the server does not bluescreen then either disable the Backup (volume snapshot) option in the guest machine settings, under Integration Services or install the hotfix and reboot once. 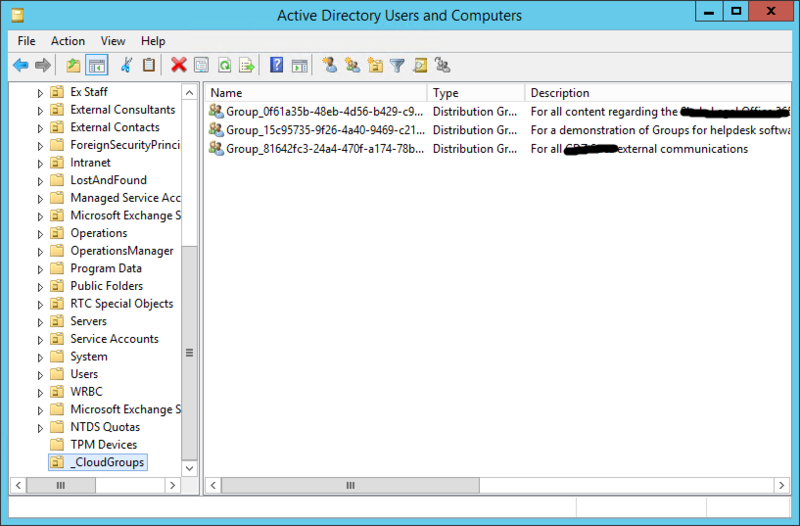 The error “cannot find the specified active directory object: winnt:///,user” and “program file folder creation or environment variables setting did not finish successfully” appears during the installation of Essential Business Server 2008 on the Security Server if a group policy exists in your current environment that renames the local administrator account name. The GPO setting under “Windows Settings\Security Settings\Security Options” called “Accounts:Rename administrator account” that enforces this must be turned off for the domain, because at the time of the EBS installation the security server is located in the Computers container. Unfortunatly, by the time this error occurs you can do nothing about it apart from format the hard disks and reinstall the server!!! The Essential Business Server installation steps for the Management Server might require you to insert the Prerequisite Planning Tools DVD into the Infrastructure Master to run schemaupgradetool.exe. What if you do not have a DVD drive on the current infrastructure master? 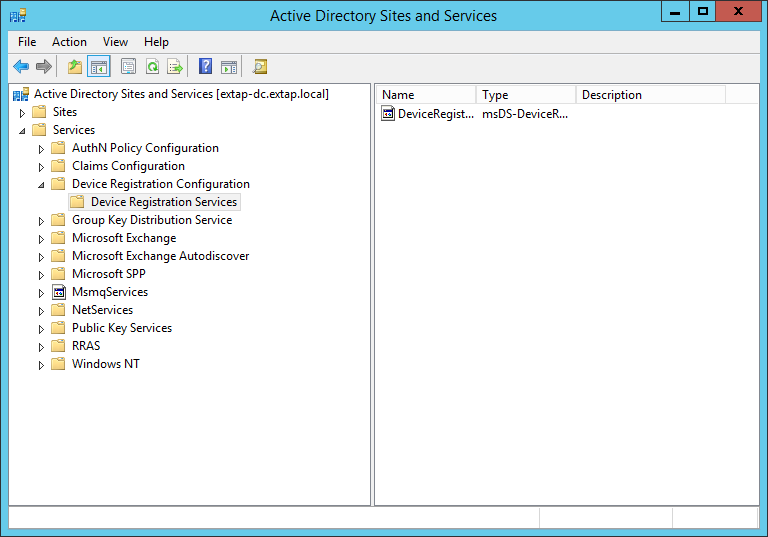 Then copy over the network the SCHEMAUPGRADETOOL.EXE, MMSNETWORKINGNATIVE.DLL and the entire ADPREP folder. Then run SCHEMAUPGRADETOOL from the command line on the infrastructure master. This takes no paramaters to run, and takes a few seconds to start up. Though when I ran it on a Windows Server 2003 SP2 infrastructure master it popped up an empty dialog box with an OK button and nothing else – this though seems to indicate success and the Management Server installation can now continue. To issue a certificate for the Windows 2008 Terminal Services gateway using your own intalled Enterprise Certificate Authority, out of the box you need to create a certificate request file, request the certificate from the Enterprise CA, install the issued certificate and map the certificate to the TS Gateway. This can help you if you get errors such as -2146875377 or “the dns name is unavailable and cannot be added to the subject alternative name” or “denied by policy” errors. On the TS Gateway Windows 2008 server, with the remote administration tools installed, click Start > Run and enter mmc.exe. Confirm the UAC prompt and add the following snap-ins: Certificate Authority (choose computer on which this role is installed), Certificates (for local machine), TS Gateway Manager. Expand Certificates (Local Computer)/Personal/Certificates and right-click Certificates>All Tasks>Advanced Options>Create Custom Request. Click Next on the Before You Begin page. Choose Web Server as the template. The template type that you chose is the 2nd most important choice you make in this process. Click Next. Click the Details down arrow and then click Properties. On the Subject tab, under Subject Name, select Common Name under Type and enter the URL that you will use across the internet to reach this TS Gateway. Click OK when the names you are using have been added to the list on the right of the dialog. The correct value for common name is the 1st most important choice you make here. Enter a file name and click Finish. Expand the Certification Authority node in the MMC you created above. Right-click the CA name and choose All Tasks>Submit New Request. Browse and select the request file created in step 7 in the previous section. Save the issued certificate with a .cer file extension. Expand Certificates (Local Computer)/Personal/Certificates and right-click Certificates>All Tasks>Import and click Next. Browse to the file created in step 4 in the previous section. Click Finish. You will be told the import was successful. 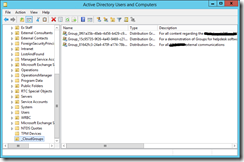 Expand TS Gateway Manager in the MMC. Select the SSL Certificate tab and ensure the “Select an existing certificate…” option is set. 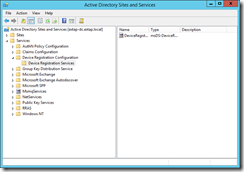 Then to finish, open Remote Desktop Connection tool (mstsc.exe) and connect to a Terminal Server using the Gateway option via the Options>Advanced>Settings dialog. To complete these steps you must also have created the policies for connection the the gateway. Updated 31st March 2008: Please see http://c7solutions.com/blog/2009/03/configuring-sstp-vpn-on-small-business_31.aspx as this new article replaces the below, as the below refers to a pre-release version of SBS 2008. The working instructions for configuring SSTP on SBS 2008 is much more complicated than the steps below. SSL based VPN’s are great. In short it is VPN without firewall or NAT issues (both of which you get with PPTP and IPSec VPN’s). But the current release of SBS 2008 (RC0) does not enable SSTP VPN’s by default. It uses RRAS, so SSTP is possible, but it is not as easy as it first looks! Ensure that you have run the connecting to the internet wizard, and that you are using a third party certificate (as there are less steps if you do this). Enable remote access from the SBS Console > Network > Connectivity page. Add some SSTP ports to the VPN in the Routing And Remote Access management program. Right-click Ports and choose Properties and enable SSTP for remote access inbound connections. Leave PPTP enabled as Windows XP does not support SSTP VPN tunnels (only Vista SP1 does at this time). View the properties of your certificate and note down the Thumbprint value. and IPv6 mappings for SSL certificates on the server. Ignore the :8172 and :987 entries (these are for IIS Management Service and companyweb). http://blogs.technet.com/rrasblog/archive/2007/11/08/configuring-iis-on-the-sstp-server-implications-and-how-to-resolve.aspx for instructions on resetting this, noting that you need to ensure that the correct certificate is bound to the SBS Web Applications website on the SBS 2008 server (in IIS manager). their CRL publishing site without issue – see the certificate details for information on the CRL publishing site location. Expand the Certificate Authority on your server and right-click Revocated Certificates. Under tasks choose Publish. This updates the CRL with the new publishing location that SSTP needs to connected to. Again, use a third party certificate to make this easy! On a Vista SP1 client create a new VPN connection and in properties > networking ensure that the Type of VPN is set to SSTP (for normal use set this to Auto, and it will find the best (starting with PPTP), but for testing set it specifically to SSTP). Also ensure that the name of the server you are connecting to is the same name that the certificate uses for the certificate common name. Connect the VPN and all should work. I have just spent an hour or three installing two Windows 2008 Enterprise Edition boxes to create an Exchange 2007 SCC cluster using Microsoft Virtual Server 2005 R2 to create the environment. But I did not get that far, as Windows Server 2008 Failover Clustering shared storage requires SAS (Serial SCSI) or iSCSI and not traditional SCSI (Parallel SCSI). Microsoft Virtual Server 2005 R2 only emulates IDE (not supported for clusters anyway) or Parallel SCSI. So I could not create a failover cluster with shared storage tonight. I will install the iSCSI target that I have and try again in a few weeks.